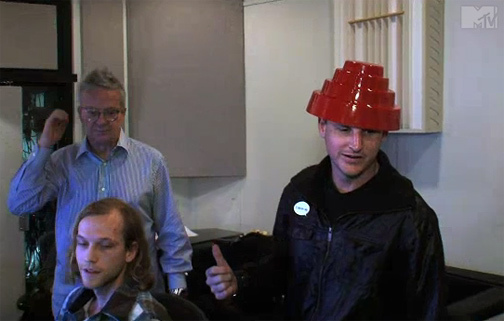 Rob Dyrdek records theme to his MTV show "Ridiculousness" at Mutato Muzika with DEVO. Rob is wearing an "I threw up." sticker on his chest.